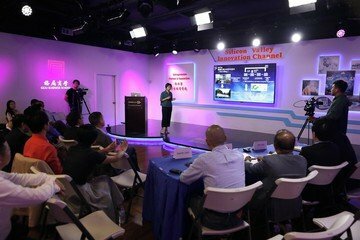 The ideal place in Silicon Valley for Startup pitching in front of judges, Product demo, Small seminar, Meet-up, panel discussion and speeches with audience. 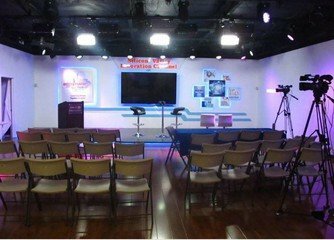 We are a 4000 square ft. professional videography studio with big screen for presentation, plus reception &amp; conference room, TV studio has 100+ seats, boss sound system, microphones, 100” TV and 4 HD cameras, help you achieve your best possible video and photo contents. Video studio is 2000 square ft. fully equipped for event with presentations or information background on big screen. The area is easy to navigate and gives room to audience. In the front of the studio there is room for reception and networking. We are at the center of Silicon Valley in Santa Clara. 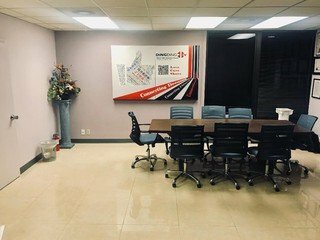 It is in a Business Park with free parking. - $150/hour for Weekday rental. - $500/hour Video taping with 4 professionals working on site using 4 HD cameras and Tricaster video switching plus banners creation. plus venue.